July is coming to an end! Last chance to take advantage of the Service of the Month! 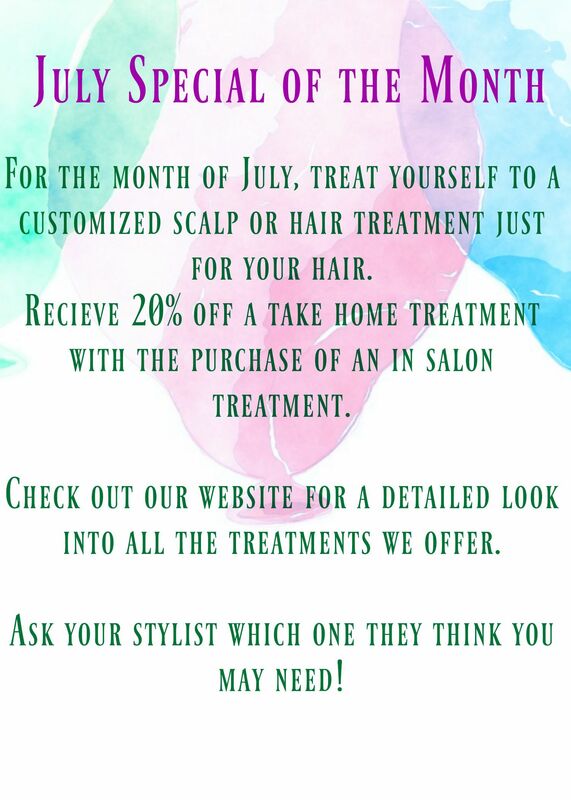 Treat yourself to 20% off a hair or scalp treatment with the purchase of any in salon service!